ELCO Car, Van & Truck Rental has two convenient locations to serve all of your truck, car and van rental needs. We offer flexible rental terms (daily, weekly, and long-term) to better suit your needs. 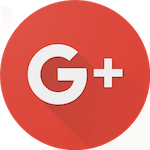 We have been in business since 1947 providing Milwaukee and Ozaukee Counties with personal customer service and clean, reliable vehicles at great rates. ELCO Car, Van & Truck Rental, we have enjoyed being in business for 70 years serving the Milwaukee metro area. Because of you, our loyal customer, we will continue providing a personal touch and the right vehicle for all of your rental needs. Our core values are built upon hard work and reliability. We exist to serve you with the very best in car, van, and truck rental and leasing. We are committed to providing top of the line customer service with a personal touch. Our customers have counted on us for seven decades to provide them with clean, reliable vehicles at great rates. We pledge to make your rental experience as simple, efficient, and cost-effective as possible. At ELCO Car, Van & Truck Rental you can always expect a commitment to customer satisfaction from our Moving Truck services. Regardless of your needs, we will always go above and beyond to make sure you are satisfied. Personal & Commercial Trucks Available. Don't rush your move! All ELCO rentals are on a 24-hour basis. Are you worried about adding unwanted mileage on your personal vehicle while traveling on vacation? Rent one of our luxury cars or minivans with unlimited miles. Don't rush your move! All ELCO rentals are on a 24-hour basis. Regardless of your needs, we will always go above and beyond to make sure you are satisfied with our services. 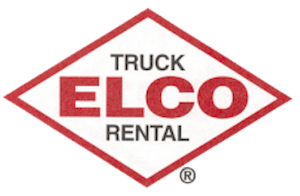 With hourly, daily, weekly and long-term rentals and a full fleet of size options, you can bet you'll find the perfect truck at ELCO. ELCO Car, Van & Truck Rental also specializes in auto rentals with the same great rental terms we offer on our trucks: FREE MILEAGE. If you need a rental due to vacation, insurance claim or accident, we’re here to help. From minor and major repairs to washing, welding, lube, oil and tires, we offer it all with our fleet maintenance programs. At ELCO, we care about quality above quantity and that commitment shows in our entire fleet. At ELCO we make the rental process simple and fast as possible, so you can get in and out quickly and on to your move. 24-hour vehicle and key drop makes the return process just as simple.